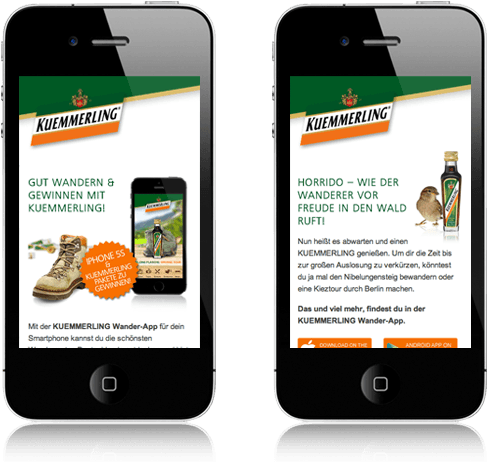 Small bottle, big tour: “On tour with Kuemmerling” is the name of the app for active hikers who want to conquer the beauty of the German countryside on foot. 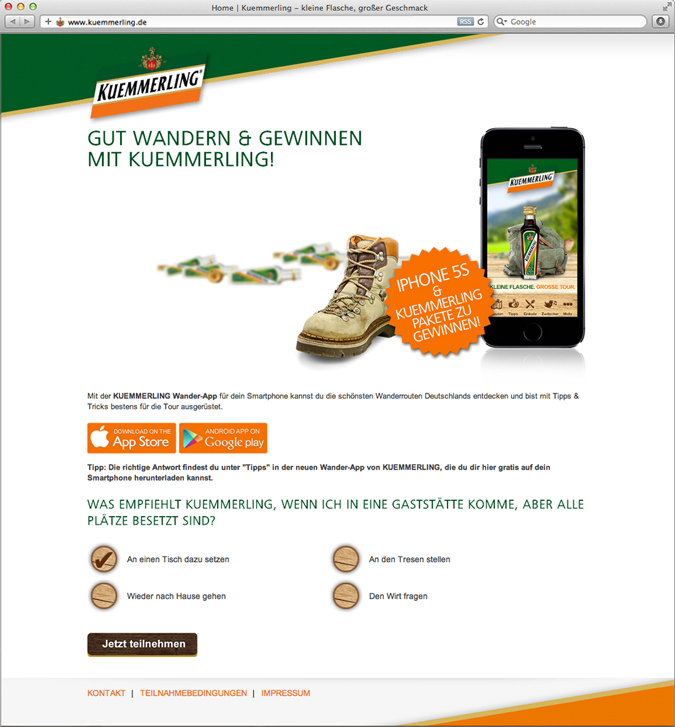 To draw the attention of as many hiking fans as possible to the app ARTUS interactive developed a competition for the Kuemmerling homepage: The right answer to a multiple choice question can only be found through the free app. 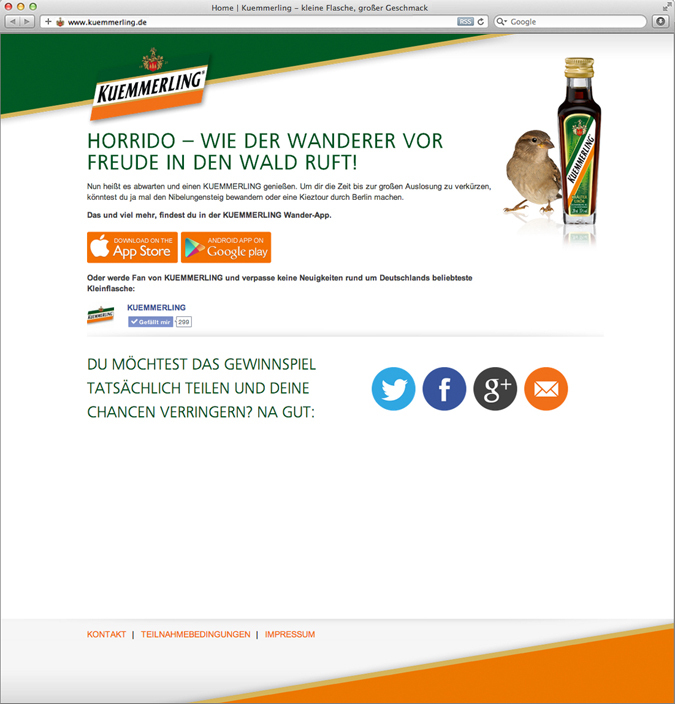 The prize draw is optimised for desktop as well as mobile devices.